Arguably the most famous athlete of the 20th century, Muhammad Ali becomes the focus of a new documentary via 2014’s I Am Ali. As expected, the program gives us a view of Ali’s life and career. Like most documentaries, this one does so through a mix of archival materials and both old and new interviews. This means we get many vintage comments from Ali himself as well as newer remarks from former business manager Gene Kilroy, brother Rahaman Ali, trainer Angelo Dundee, daughters Hana Ali and Maryum “May May” Ali, journalist Ken Jones, athlete/activist Jim Brown, ad man George Lois, photographer Carl Fischer, singer Tom Jones, son Muhammad Ali Jr., boxers Mike Tyson and George Foreman, ex-wife Veronica Porche, fan Russ Routledge, and fighter Joe Frazier’s son Marvis. On the surface, the main attraction of I Am Ali would appear to stem from the filmmaker’s access to Ali’s family and personal archives. Since we get info from relatives and can hear private recordings of Ali and his kin, we anticipate a deep, personal examination of the boxer. Unfortunately, we don’t find a journey of that sort. Instead, we essentially get a hagiography, as Ali almost literally does nothing more than lavish praise all over its subject. Some of that seems fine – and expected, to a degree. I certainly didn’t anticipate a true “warts and all” look at Ali, and I’m not even sure I want one. I don’t find myself especially interested in a program that wants to dish dirt on the ailing champ. But I’d sure like something more substantial than this. Man, does Ali bury the viewer in praise; the boxer gets treated more like a living god than a real person. Any character flaws – like Ali’s infidelity – get swept under the rug faster than a bee can sting. Even Ali’s battle with Parkinson’s barely merits a mention. Actually, I guess I don’t mind that too much, as I can understand a focus on Ali in his prime. Still, the almost complete absence of any form of objectivity mars Ali in a substantial manner – and not just because the film lacks negative voices. Forget about complaints - I’d be happy to find someone who expresses an attitude other than gushing praise. Even Frazier – whose father felt animosity toward Ali for years – brushes off those issues and accentuates the positive. Again, I don’t specifically mind the documentary’s attempt to focus on the good sides of Ali and his career, but I do resent the complete lack of balance and objectivity. The movie seems like a very long puff piece that never wants to present its subject as a real human being. Which seems especially sad given what a rich subject Ali could be. The Champ came with all sorts of nuances and complexities, virtually none of which make their way to the movie screen. Instead, we’re left with a burnished view of an apparently perfect man. Even the inclusion of elements from Ali’s personal library doesn’t help. The movie comes with some good archival pieces, though none of those step outside the ordinary; I doubt we see anything that other Ali documentaries don’t include. As for the family audio recordings, they tend toward gooey moments like Ali singing with his daughter or cooing to her. These must be very special for Ali’s relatives, but I find it tough to imagine viewers will take much pleasure from them. Yeah, they cast Ali as a sweet guy, but I don’t think we need that attitude, and even if we do, we don’t require many of those clips. We find a bunch of old tape snippets – way more than the movie should include, and they make an already soggy film even slower. 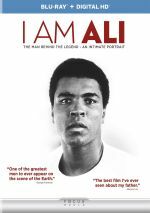 I Am Ali doesn’t provide a total dud, as it does give us a rudimentary history of its subject’s life and career. However, it’s a superficial, inefficient and flawed overview that doesn’t use its time well. Packed with potential, Ali winds up as a major disappointment. 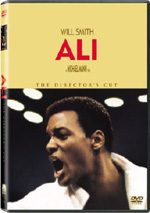 I Am Ali appears in an aspect ratio of approximately 1.78:1 on this Blu-ray Disc. Given the nature of the production, the picture quality seemed pretty positive. I didn’t factor the archival material not shot explicitly for Ali into my grade. Those elements demonstrated a mix of flaws, but it didn’t seem fair to criticize the disc for problems that seem inevitable with that kind of stuff. As for the new shots, they presented solid sharpness. The new elements consistently looked crisp and detailed, and they betrayed few signs of softness. Those bits portrayed no problems with jagged edges or shimmering, and edge haloes remained absent. Outside of the archival materials, print flaws failed to mar the presentation. Not surprisingly, the movie’s palette tended toward natural tones. The hues came across with positive clarity and definition, so they were more than adequate within their subdued goals. Blacks also seemed deep and firm, while the occasional low-light shots appeared well defined and clean. Overall, this was a solid image. Given the film’s focus, I expected little from the DTS-HD MA 5.1 soundtrack of Ali but instead found it to provide a surprisingly involving effort. Of course, dialogue remained the focus, as the majority of the film’s information came from interviews or other conversational bits. However, the program used audio cues well to gently support the visuals. The track occasionally even offered some split-surround material, such as the movement of vehicles. Again, this stayed subdued, but it manifested itself well. Audio quality also seemed fine. Speech was consistently crisp and concise, with no issues connected to edginess or intelligibility. Music and effects remained background elements to a substantial degree, but they seemed well-reproduced and clear. 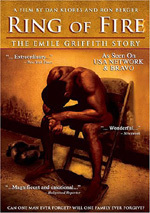 Ultimately, the audio of Ali complimented the film. In terms of extras, we find a mix of featurettes. Four of these offer outtakes from the film’s interviews. We get Fighter – The Legendary Boxer (3:19), Brother – The Civil Rights Supporter (3:56), Lover – The People’s Champion (4:14), and Father – The Family Man (5:48). Across these, we hear from boxers Ken Norton and George Foreman, ex-wife Veronica Porche, singer Tom Jones, musician Kris Kristofferson, daughters Maryam and Hana Ali, basketball player Karl Malone, director Clare Lewins, son Muhammad Ali Jr and football player Jim Brown. While they focus on aspects of the Champ’s personality, the comments mainly just reiterate how awesome Ali was/is. The clips seem redundant and tedious. One more featurette shows up with the four-minute, 49-second The Music – Telling the Story. It offers remarks from Lewins, composer Simon Bass and musicians Jonathan Noyce, Tim Cansfield, Matthew Holland, Simon Bates and Geoff Dunn. We get info about the movie’s score. It offers a few decent thoughts but lacks much depth. With ample access to Muhammad Ali’s archives, I expected real depth and insight from I Am Ali. Instead, I found almost two hours of non-stop reverence and praise, with little novel information on display. The Blu-ray comes with solid picture and audio but it skimps on supplements. I’m sure there’s a good Ali biography/documentary out there, but the gushing, superficial I Am Ali isn’t it.